It’s “a ball” to have friends and family over to watch the sporting events of the season. Prepping for guests is easy and fun when you shop at Walmart… and pick up the right products. 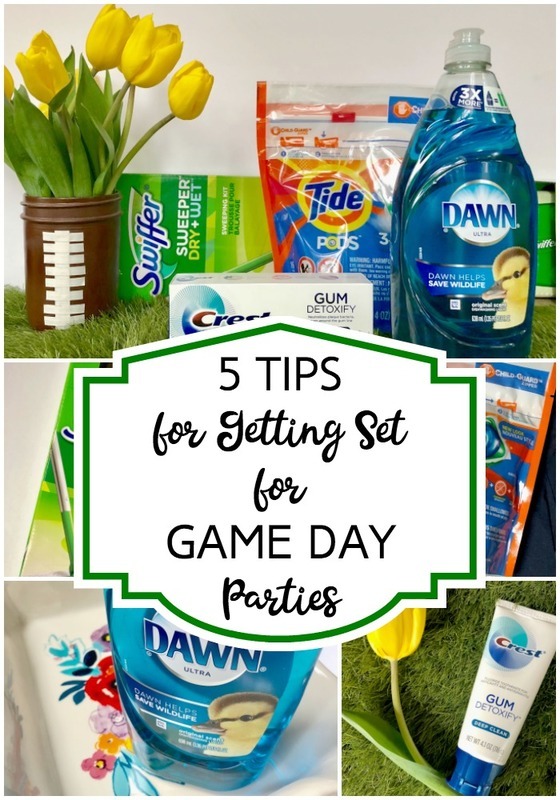 Here are 5 Tips for Getting Set for Game Day Parties… so you can be the hostess with the mostess! Head to Walmart for everything you need. 1.Banish dirty laundry with Tide Ultra Oxi PODS. You can get your own team (aka family) ready for the festivities by making sure their favorite jerseys are free from stains, clean, and go to go. 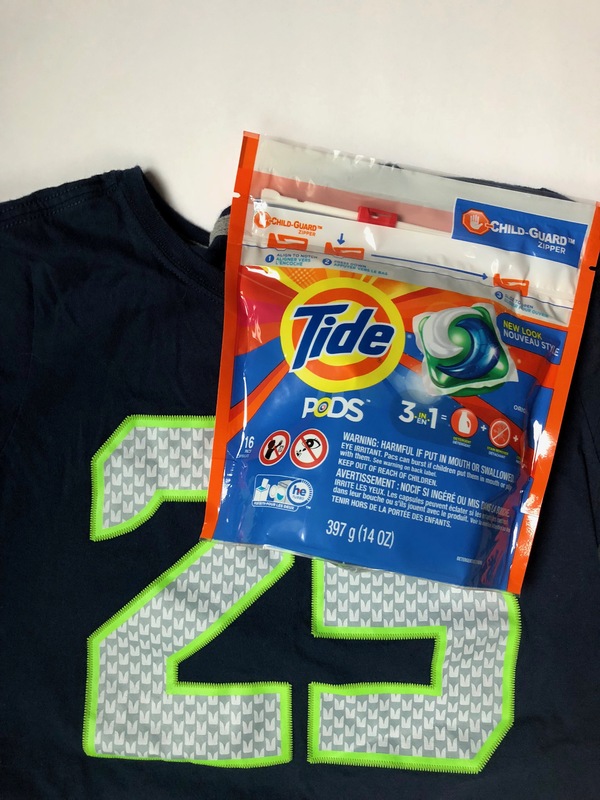 Just grab some Tide Ultra Oxi PODS and freshen up those team t-shirts! 2. 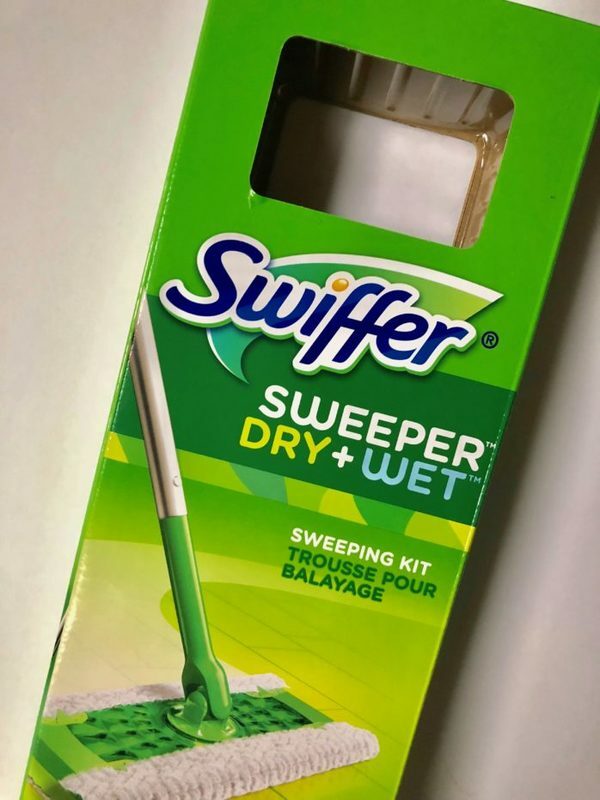 Make Your Floor Shine with the Swiffer Sweeper Starter Kit. The Swiffer is my MVP when it comes to making my floors sparkle! The awesome thing about the Swiffer Sweeper Starter Kit is that it can do so much! First I like using a few fluffy dry cloths to literally trap and lock all that icky stuff on the floor– including dirt, dust and stains! Then you can use the super cool textured wet cloths to take care of dirt and grime. 3. Give your Home a Fresh Scent with Febreze ONE Bamboo Starter Kit. With two kids and a dog– it can be tough to keep my home smelling fresh. That’s why I am relying on the Febreze ONE Bamboo Starter Kit to help me say sayonara to stinky smells before the partygoers arrive. 4. Help Your Dishes Sparkle with Dawn Ultra. One easy step you can take before people show up for the party is to make sure all the serving dishes and plates that you’re planning to use are clean! 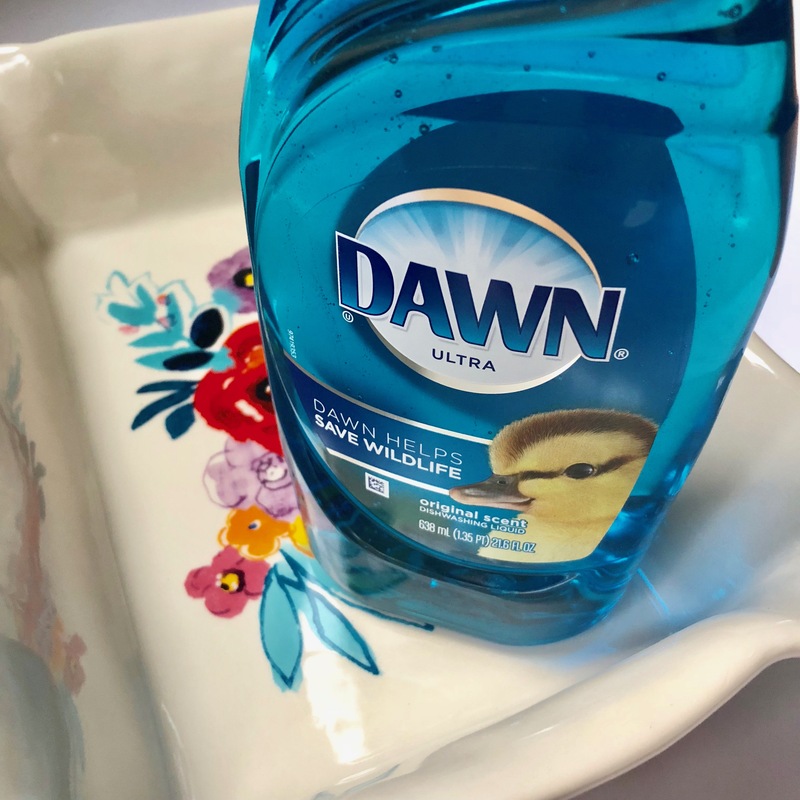 Dawn Ultra is the “quarterback” of clean dishes. Anytime I have baked-on food on casserole dish (which is quite often) — Dawn Ultra is literally the first product I pick up. That blue liquid packs punch when it comes to dissolving that stubborn food residue. 5. Throw a Touchdown for Your Teeth with Crest Gum Detoxify Deep Clean Toothpaste. The most important thing any hostess can have a bright smile to welcome folks to the party. And the best way to achieve that by using Crest Gum Detoxify Deep Clean Toothpaste. 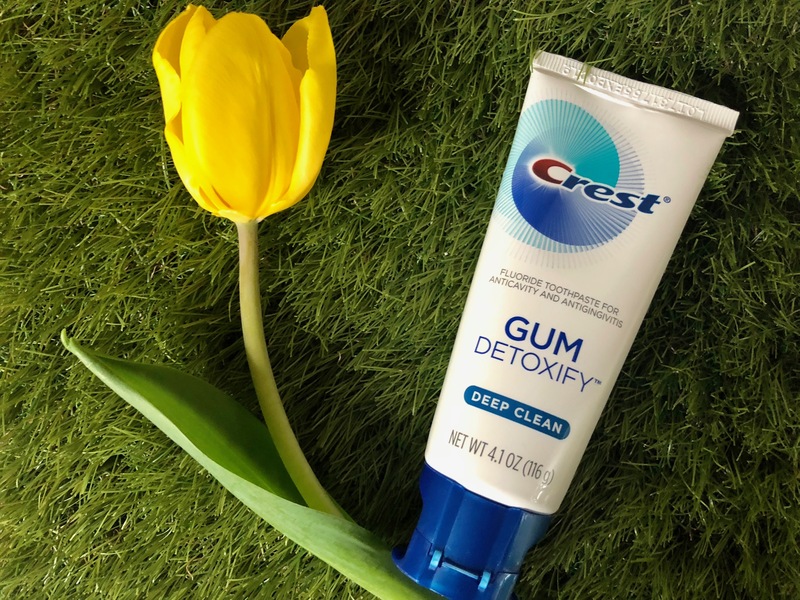 It helps you say bye bye to plaque bacteria, even around the gum line and it’s activated foam allows it to get into hard to reach places. You’ll be smiling your way through the soiree! If you like saving money– you’re going to love this! 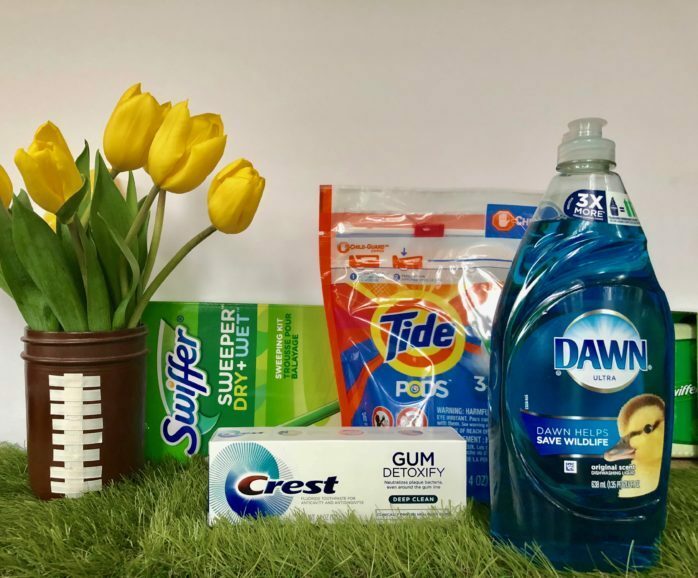 If you buy one of these products, you get $0.50 back, plus you can earn an extra $1 back when you purchase and redeem two of these products at Walmart and use the ibotta app!